YOUR OWN PERSONAL VILLAGE. More than a home, a community. 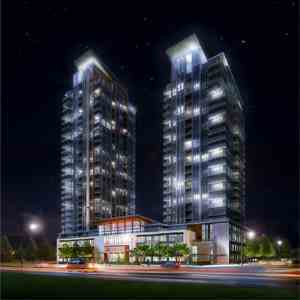 We designed Mississauga Square to be the place to fully live your modern life. When you are here you have the option to play, to relax and, if you choose, mingle with your neighbours and friends. When you live at Mississauga Square, you have access to an abundance of first-class amenities, including guest suites for your overnight visitors! 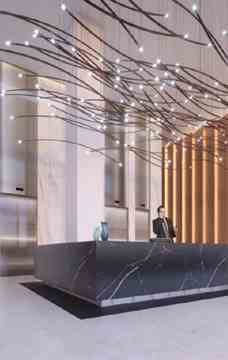 As you would expect from Plaza, first-class amenities abound in Mississauga Square. An expansive fourth floor outdoor terrace invites you outside with a dazzling, centerpiece pool. To start your day, or close it off right, slip in for a swim. Or, if you're just feeling like a bit of sun, swing lazily in your cabana's hammock; it is okay, you can put off your workout on the state of- the-art, outdoor fitness equipment for another day. When you're ready for something more social, the third floor terrace is open to entertaining thoughts with four party rooms – that happily transform into two larger ones, should you plan for something more popular. The terrace includes BBQ cooking facilities, so everyone can get their fill. And, if you prefer some solo food for thought, a reading garden awaits quietly nearby. Convenience counts, so Mississauga Square offers you the opportunity to work alone or in small groups at charming outdoor work stations. 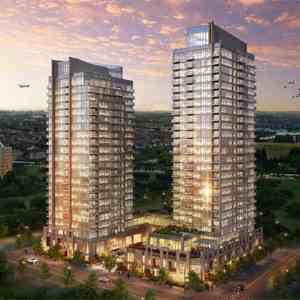 Mississauga Square Condominiums is a condo and townhouse development by Plaza located at 5081 Hurontario Street, Mississauga. 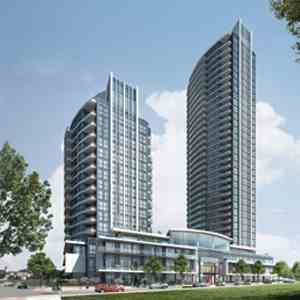 When you choose to live at Mississauga Square, you'll live along the Hurontario LRT system – an innovative new project from Metrolinx. 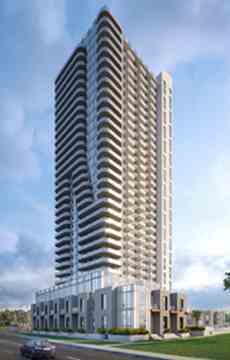 You are just 7 minutes from the Cooksville GO Station at Hurontario & Dundas, which will have you comfortably into downtown Toronto in mere minutes. Mississauga Square is just around the corner from some of the best golf courses Mississauga has to offer, such as Braeben Golf Course and Grand Highland Golf Club!